This is a movie i came to see accidentally by zapping on the TV. And i had to see it all. It is very exciting, with a good build-up and some twists also. This is a film on the same level as "Goodbye Lenin" and "The lives of the others" with the same authenticity. I will recommend it to all for the good acting, the very good feeling of DDR in the sixties, the very good filming, and the convincing set. If it was a American movie it would have been a major hit. 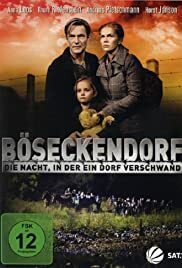 German really matches American and English movies in all aspects, and the fact that the actors are a little bit unknown to foreign viewers, just helps the feeling of real people and their lives. Don't miss this if you like a good, nerve spinning thriller based on historical events.